The Washington Monument is high on the list of most common souvenir buildings. 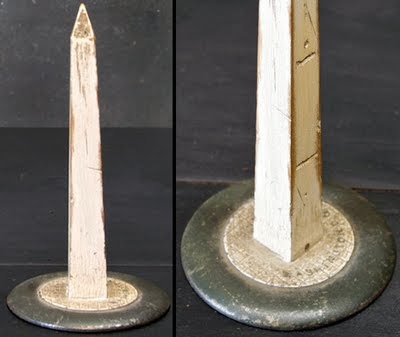 There are, however, rare versions of this famous obelisk. Harry M. has a large collection of different versions of Washington Monuments. One is most likely the only of its kind in existence. The hand-made wooden replica appears to have been made as a liquor bottle holder. 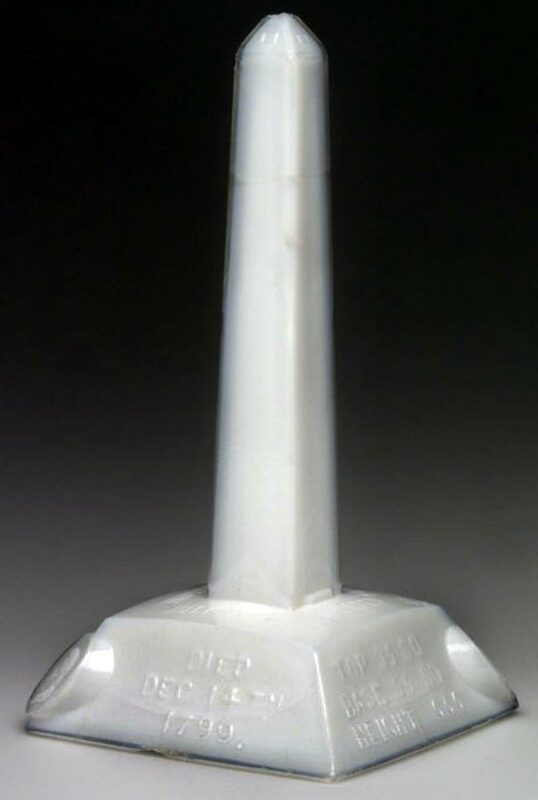 A bottle could fit inside and the neck would poke through the top hole. Burned into the inside of the door in script is “Happy New Year 1908 just a little light one at 44Q.” If anyone has an idea what 44Q might refer to, let us know in the comments link below. 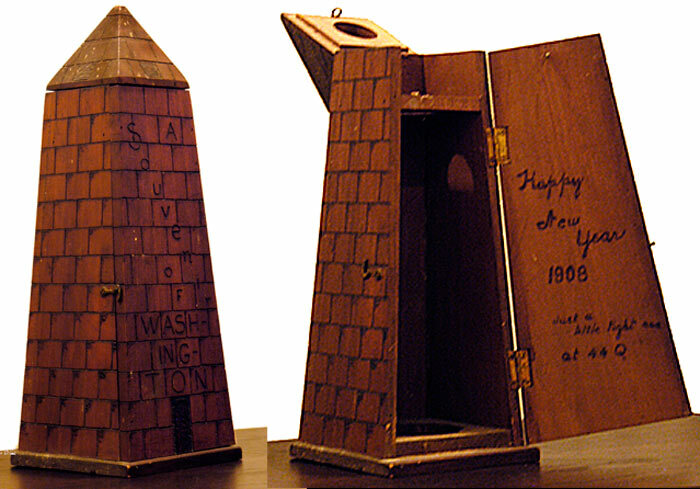 Attendees to the 2011 SBCS convention will see this and other unusual miniature replicas of the Washington Monument during the visit to Harry’s Collection on the Sunday house tours. Other uncommon replicas include those made from white “milk” glass and wood. My guess is the creator of this piece had a party at his home that New Year's Eve, at 44 Q Street. There's one in NW (though it's a church, that still could have been the case) and a home in NE.